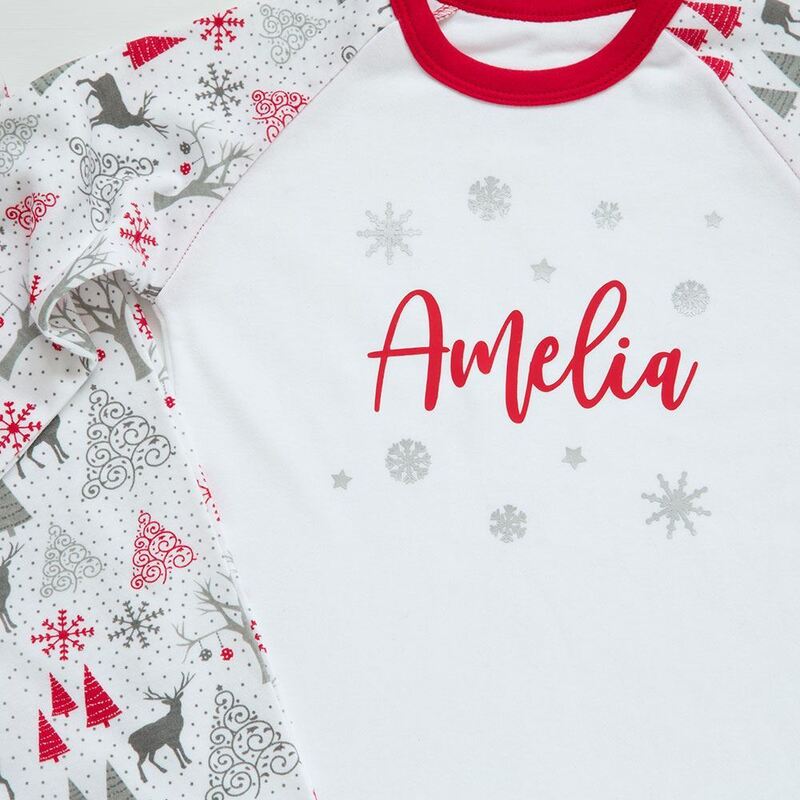 Get snuggly this Christmas with our Christmas patterned personalised pyjamas. 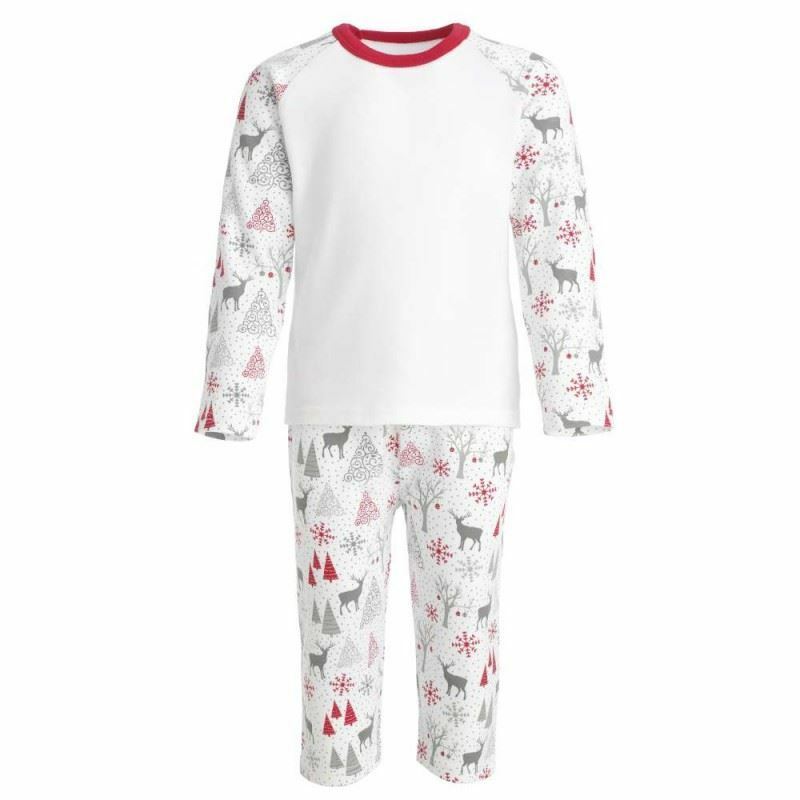 They feature a reindeer print to the sleeves and legs and come personalised with your childs name, finished off with some silver stars. Get snuggly this Christmas with our Christmas patterned personalised pyjamas. They feature a reindeer print to the sleeves and legs and come personalised with your childs name, finished off with some silver stars. Perfect for Christmas Eve boxes or for the run up to Christmas day. They feel super soft and feature long sleeves for keeping warm in the winter season. * 100% cotton for delicate skin.